Super featherweight boxer Bazila Ngosa has been condemned for attacking a referee following his defeat to Francis Kimani of Kenya. 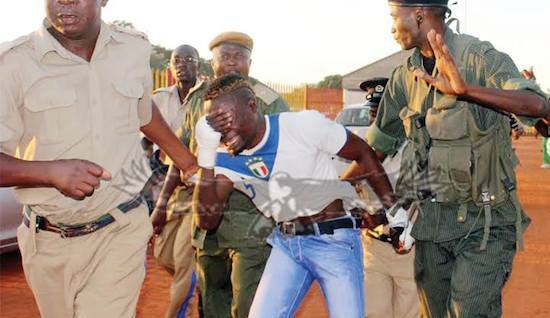 Police officers apprehended Ngosa (centre) after he attacked referee Maybin Kante during the World Professional Boxing Federation Super Featherweight African title bout against Francis Kimani of Kenya at Arthur Davies Stadium in Kitwe on Sunday. Ngosa lost to Kimani. – Picture by Nkombo Kachemba, Daily Mail.